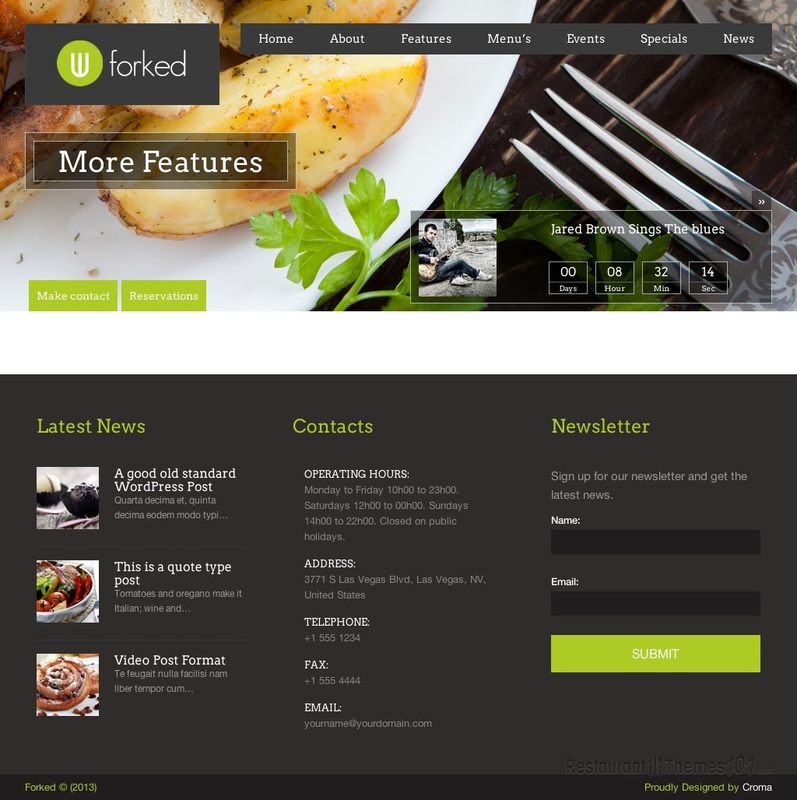 Forked is a very stylish, responsive restaurant WordPress theme created by Net Labs, and featured at ThemeForest. It was built on the very unique Croma Restaurants and Events Framework, which features many great options that can be found nowhere else. If you want a theme with absolutely unique features, this is the right choice for you! 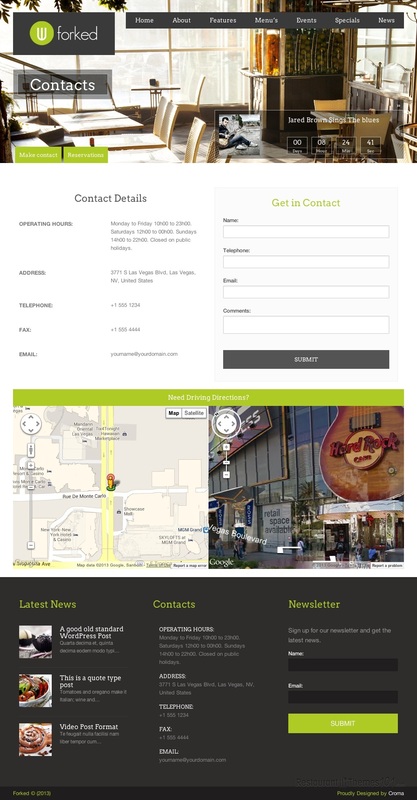 The table reservations booking system is not a simple form like in most other themes, but a full booking application, you and your visitors are going to love how great it looks and how easy it is to use it. The Google Maps integration is also different than with other themes, it doesn’t only include a simple map, but even driving directions as well. 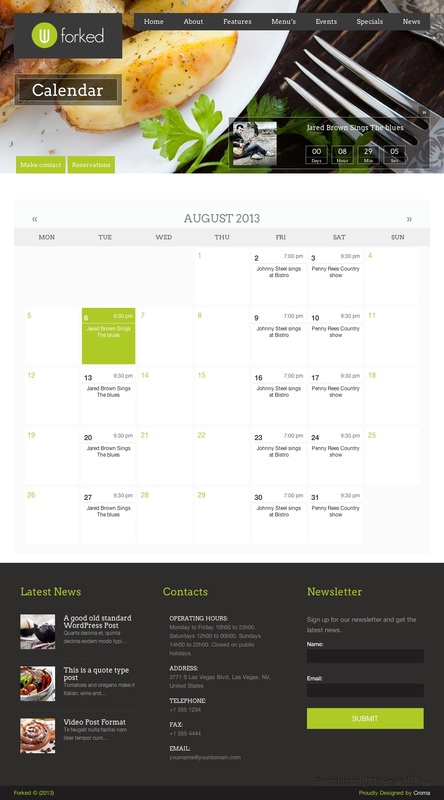 The events and calendars system is also great, and again, not does it only look good, it is very user friendly and easy to manage. There is also a countdown form added, which is great for any important stuff you might be organizing at your restaurant. 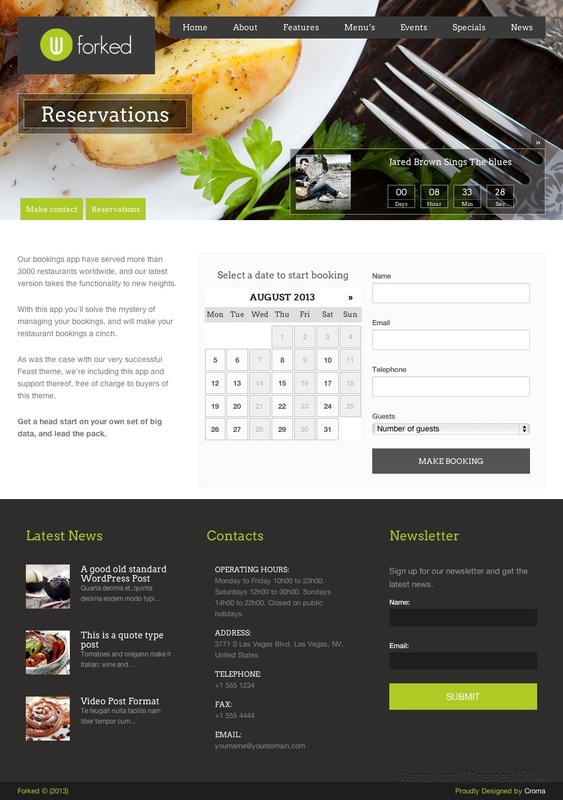 The menu of this theme will blow you away, not only can you choose between several different menu styles, creating any one of them will be dead easy, and you will be able to do it in a blink of an eye. All the menu versions looks simply awesome, they are well organized and properly categorized. When it comes to the colors and layout style, you will be able to make infinite color combinations and fit your website to your needs. 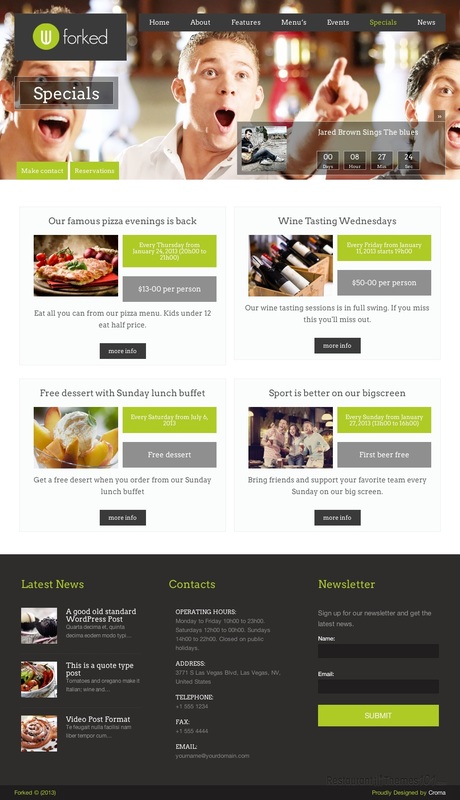 Beautiful sliders are included, and very fancy content boxes that will make your website look like no other! You will be able to feature a whole bunch of content, and it will be done with great style and elegance, without anything looking sloppy or too much. This theme was built to intrigue your guests’ imagination and highlight the quality of your food and service above all. 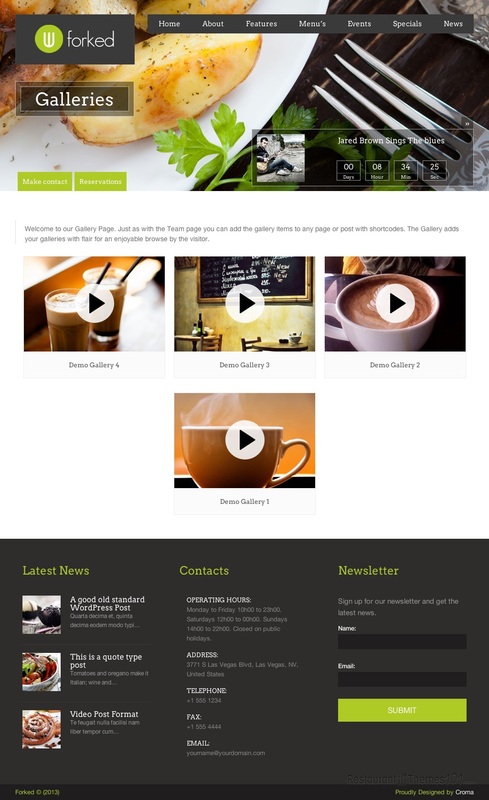 Forked is very adjustable, and it can perfectly fit as a responsive WordPress coffee shop theme, or as a theme for any other restaurant niche. 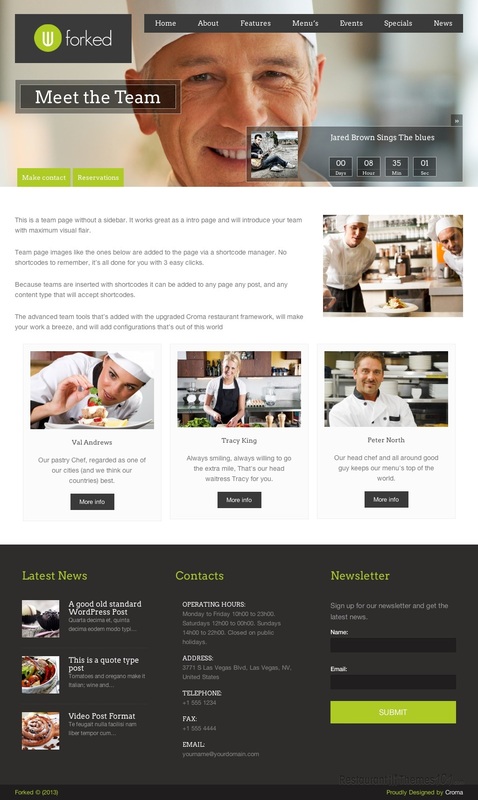 Being completely responsive, it ensures you your website will look amazing no matter what device it is viewed from.